For just over three years, the San Diego Jewish community has been grappling with the question, “How do we get our teens to get involved in the Jewish Community?” Anchored by Federation's Jewish Teen Initiative, over 30 different organizations, 70+ educators, and hundreds of community members have convened to address this question. One of the most popular responses is that educators and teens need to have access to additional funding in order to experiment with programming that resonates more with the teen population. To date, the Jewish Teen Initiative has provided over $200,000 in funding, touching EVERY Jewish teen program in San Diego - including temple youth groups, day schools, Jewish agencies, and independent organizations. As a community, we are working together to inspire and engage Jewish teens. And she is right. As the Jewish Teen Initiative looks at some of the most meaningful experiences available to Jewish teens (i.e. summer camp, Israel travel, Havdalah programming) – music can be found as an intentional and purposeful part of the program design. 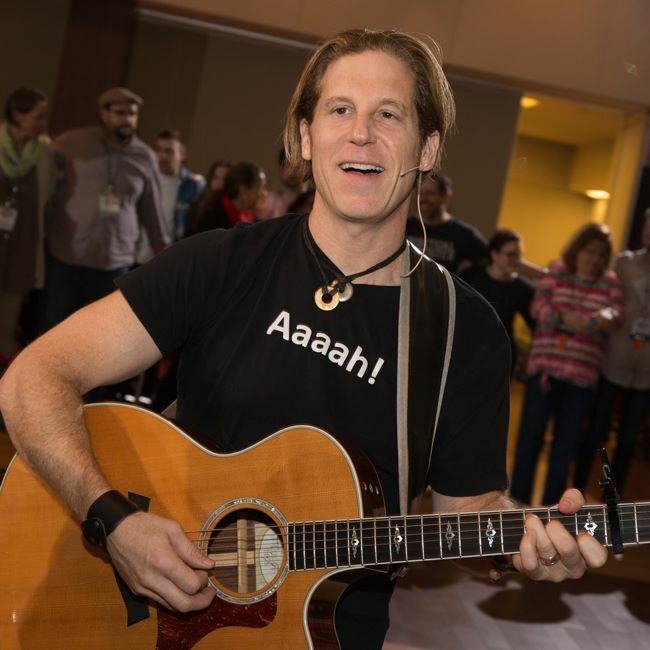 This spring, on 3/31/2019, Rick Recht, one of the top touring Jewish musicians, will bring a unique leadership training and energetic day of music to SLBC and to San Diego. The SLBC workshop will be offered from 9:00am to 3:00pm and is rich in inspirational Jewish music and communal singing. SLBC is for adult singers, musicians, and Jewish music enthusiasts. There are discounted rates for Teens who choose to participate in the Teen Song Leader Fellowship and a subsidy for Jewish Teen educators too. Following the workshop, a free concert (from 5:30pm to 7:00pm) and Havdalah is planned as part of the JCC’s Family Day. The concert is open to the community, appealing for all ages, and features Rick, SLBC participants, and local Jewish teen band Kavannah. Click HERE to register for SLBC. Click HERE to register for the Teen Song Leader Fellowship. This program is made possible through a grant from Federation's Jewish Teen Initiative in partnership with the Jim Joseph Foundation and Lawrence Family JCC. It is in true collaboration with Tarbuton, Leichtag Foundation, and the Barnik Tarbut Foundation who are also significantly invested in this new opportunity for teens.